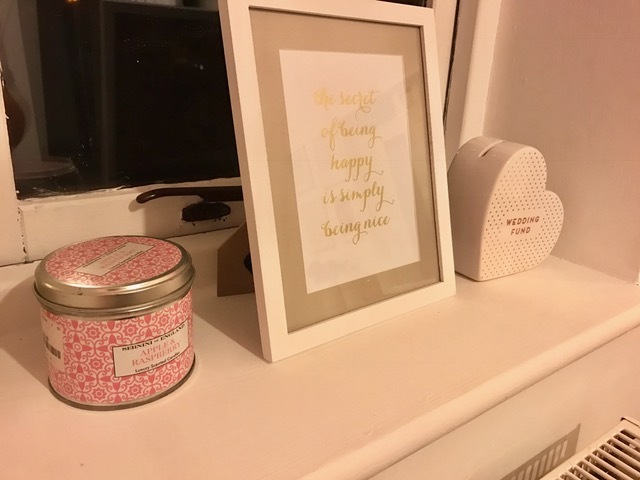 A few weeks ago I wrote all about my new Bathroom and gave you a little tour of how we have decorated. 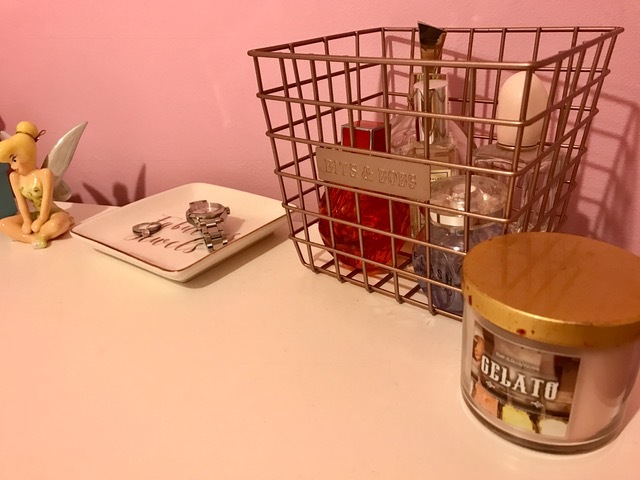 Todays post is all about my dressing room! 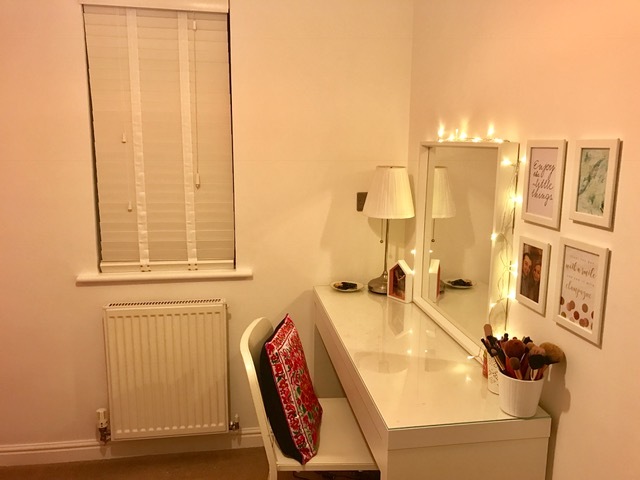 I have always wanted a dressing room and when we where decided what to do with the rooms it seemed like the most logical decision :D. As we don't have a huge bedroom it made sense to have all of my clothes, accessories and beauty items all in one place! 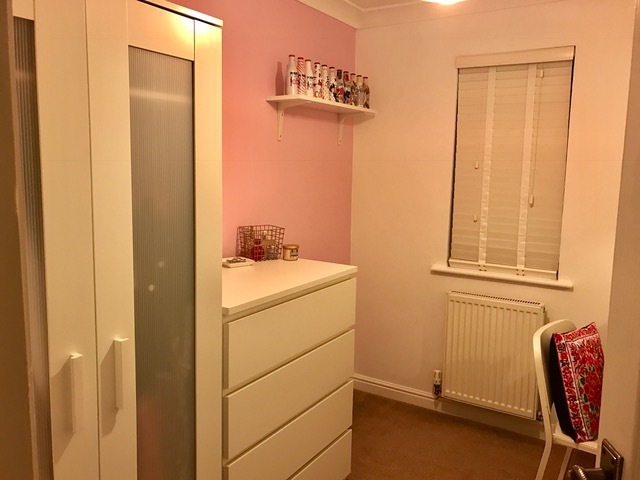 re-paint the room in white and blush pink. 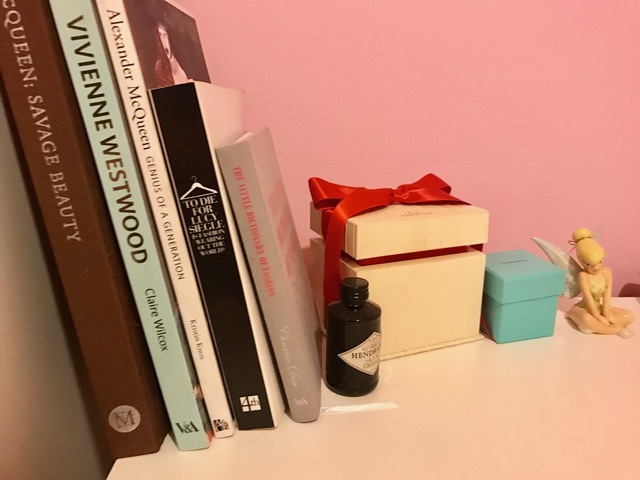 I didn't want too much clutter on the side however I did want to display a few pieces like my perfumes, some candles etc. I decided to stick with rose gold and pink themed accessories and I love the way it turned out. This basket I picked up from Matalan and the little plate was from Home Bargains. 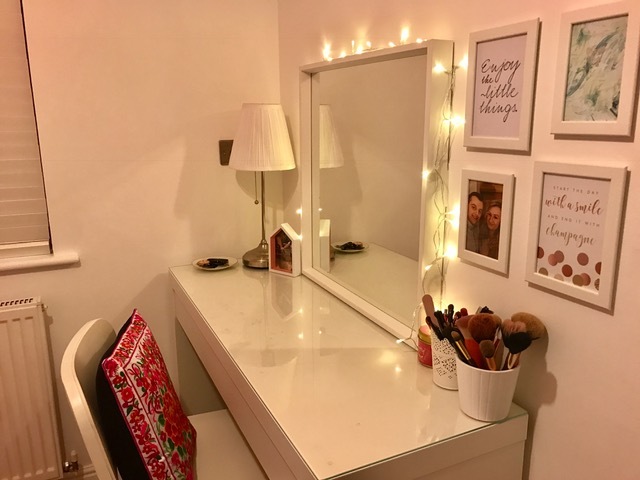 My dressing table is my favourite thing as I love having a space to sit and get ready properly rather than sitting on the floor or in a bathroom mirror. Again I didn't want too much out on the sides apart from my make up brushes. My cushion on the chair I bought whilst travelling in Cambodia, I think I paid about £4 for it and its so cute. 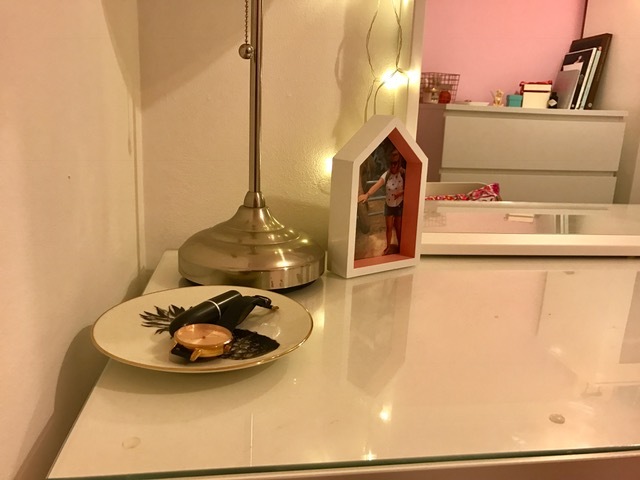 The table its self is from Ikea, actually all of the furniture is as it was perfect for the space we have and looks clean and simple. 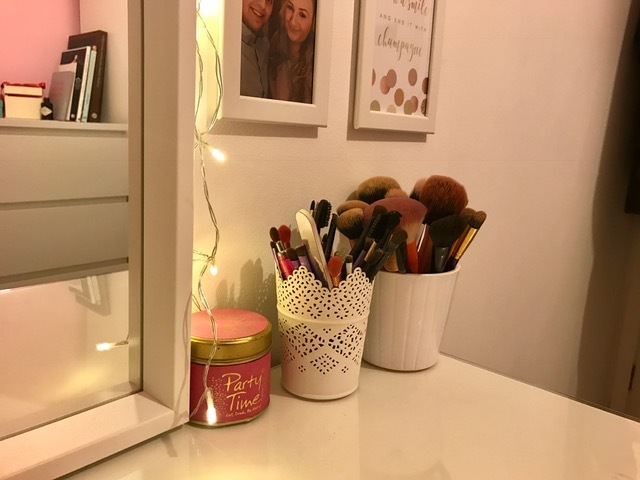 I also picked up my brush pots from Ikea too and the photo frames. 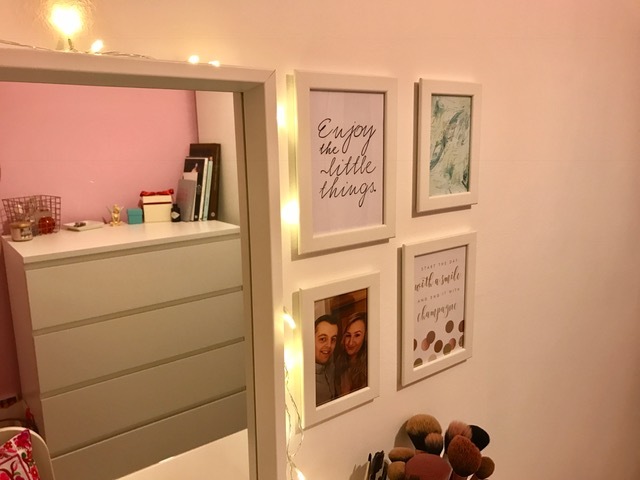 The prints are just ones that I have collected over the past few weeks, I also printed a few different ones off Pinterest. 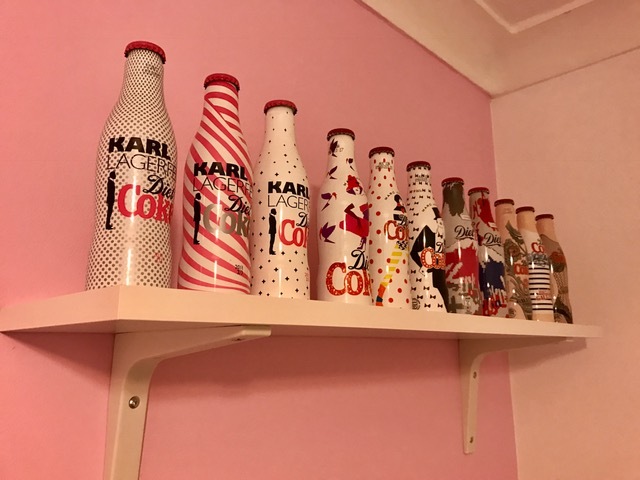 I hope you like my little tour and maybe gain a bit of inspiration for organising your own space. 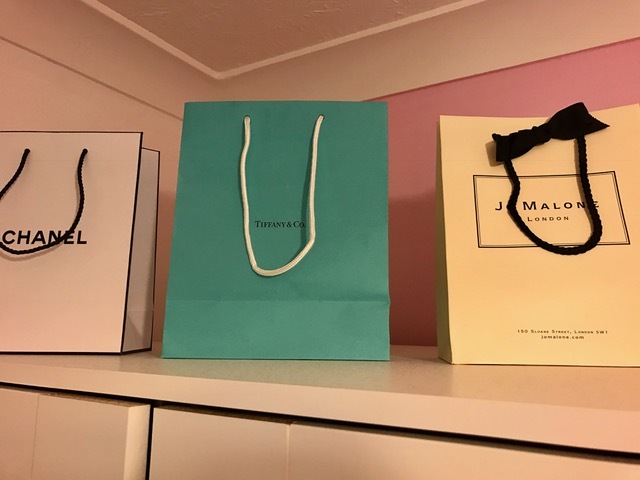 Do you have your own dressing room?